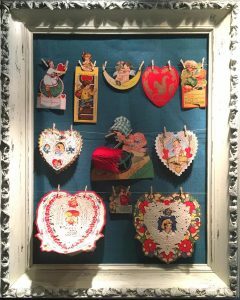 Vintage Valentines are on display in the Earnshaw Gallery at the Dietrich Theater in Tunkhannock through February 28. This collection of vintage valentine cards and calling cards is owned by Sharyn Davis of Wyoming County. Several months ago, Davis discovered the cards in an antique desk formerly owned by her father, Harry Sweppenheiser, and her grandmother, Bette Sweppenheiser, before him. As Davis began to sort the valentines, she realized the cards were given to Miss Emily Casterline by her students during the 1930’s. Recognizing many student names as people she had heard her mother speak of as residents of the Noxen area and knowing Emily Casterline had been a school teacher at the Noxen Elementary School, Davis realized she had a special piece of local history. “Miss Casterline left the teaching profession to begin a family with her husband William Lyons to which they are credited with five children, thirteen grandchildren, numerous great grandchildren and great-great grandchildren,” says Davis. Sharyn Davis is one of those grandchildren. The mystery remains how it came to be that Davis’ paternal grandmother was in possession of her maternal grandmother’s valentines when her two grandmothers had never even known each other. Also in the display are calling cards and information about how they were used. The tradition and etiquette of “calling” and leaving a card has almost been forgotten, but was widespread in the 1930’s. These calling cards and valentines evoke another era and traditions that now seem quaint, but charming. 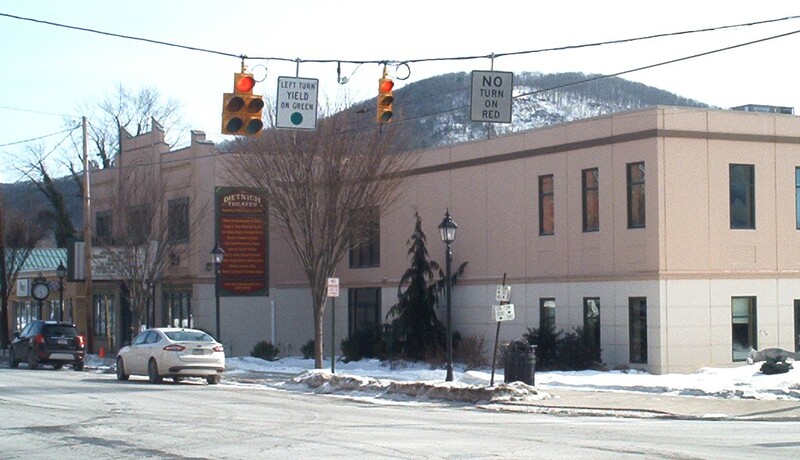 For information about the Vintage Valentines exhibit call the Dietrich Theater at 570-996-1500.